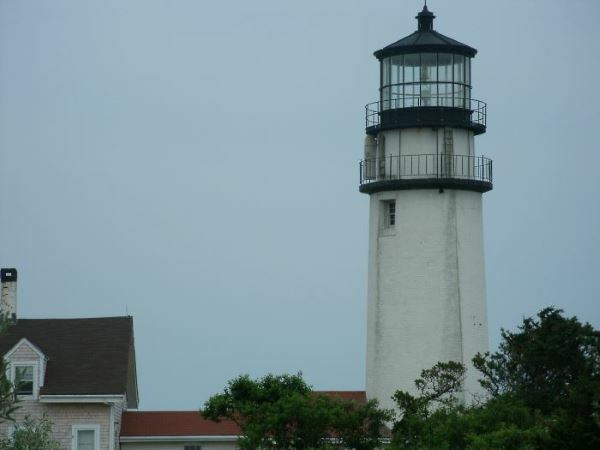 Cape Cod Geocaching Sites: Find Hidden Treasure! Geocaching is a 21st century treasure hunting adventure, using global positioning system technology ("GPS") to find treasures hidden all over the world. 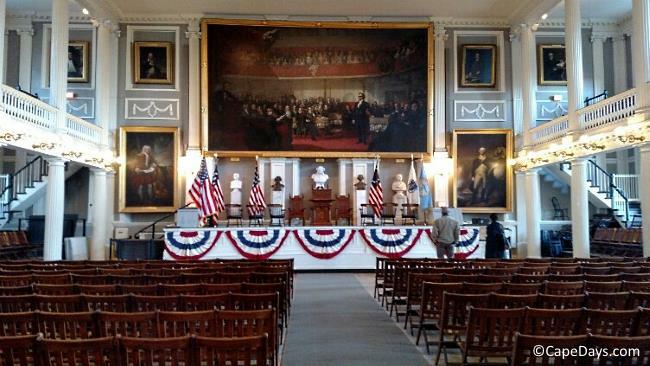 In lots of places where you'll experience local history, truly beautiful scenery, and the "real" Cape Cod. Geocache treasures have been hidden all over Cape Cod, just waiting to be found. If you're dreaming of treasure chests full of gold coins, I'm sorry to burst your bubble. Geocache treasures are more entertaining than valuable. Plastic boxes holding small toys, trinkets, and notes from others who've also found the cache. The rule is: Take a souvenir from the box, if you'd like. But be sure to leave something of equal value in its place. A bucket filled with lots of baseball-related items. I didn't take anything from the baseball cache. It was all Red Sox stuff. I'm a die-hard Yankees fan!! And lots of "micro-caches" - small metal tubes with a log book rolled up inside, where you can add your name, the date you found the cache, and a message to other geocachers. Perhaps best of all, we've discovered some truly amazing places. Places we might never have seen, if our geocaching adventures hadn't led us there. 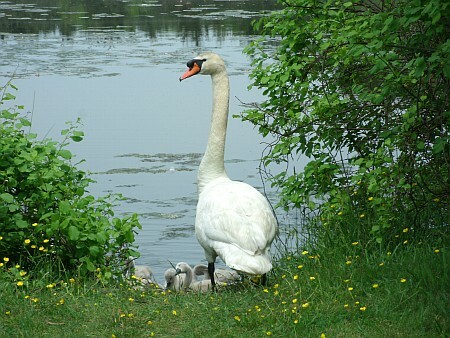 Just last summer, our GPS guided us down a footpath leading to a small wildlife sanctuary. I'm not sure which was better. Finding the treasure at the end of the path ... or being there to see an osprey dive from about 50 feet in the air, catch a fish, then fly it back to the chicks waiting in the nest for their lunch. That experience made our day! Geocaching is a fantastic, free activity for the whole family. Anyone can do it - at any age, any fitness level. Some caches can be found with just a short walk across a parking lot or down a paved pathway. Other geocaching sites are a little more challenging, and a few might even require some hiking and climbing. GPS capability - a basic handheld GPS, or a GPS-enabled device such as a smartphone, to guide you to the treasure. If you're new to geocaching, the best place to learn all about it is at Geocaching.com. It's the "go-to" website for everything you'll ever want to know about caching. After a quick, free sign-in on their homepage, go ahead and enter your home ZIP code or postal code in the search box. Voila! Up comes a list of all the geocaching sites in your area. You'll see the GPS coordinates for each cache, a brief description of the size and type of treasure that's hidden there, and often some clues to help you find it. You'll also see a rating for each geocache location, to let you know how easy or strenuous your search will be. Just choose which geocaches you want to search for, and off you go on a new adventure! Like any outdoor activity - particularly when you're going into an area you're not familiar with - common sense must rule the day. Don't take on more than you can handle. If you're a little out of shape, or if you'll be taking children with you, start out with geocaching sites that have a 1 or 2 star difficulty rating on Geocaching.com. Those are the easiest. And if you get into the hunt and find it's even the tiniest bit beyond your capabilities ... Stop! It's not worth risking injury. There are easier geocaching sites out there. Go for one of those! Always mark your starting location on your GPS. If you do happen to get lost, how will you get back to civilization? Get into the habit of marking your starting location as a waypoint, always. (Even if you think you know where you're going and how to get back.) That way, you'll have a starting point to track back to. Take some basic safety items with you, just in case. A fully charged cell phone. Extra batteries for your GPS. Some drinking water. A small first-aid kit for scrapes and bug bites. You get the idea. Our terrain on Cape Cod is pretty flat; but it's often sandy, pebbly or covered with wet leaves. Plus, we do have scratchy, picky and biting things like briar thorns and bugs here. Ditch the tee shirt, shorts and flip-flops in favor of a long-sleeved cover-up, long pants, and comfortable, sturdy walking shoes. Be aware of Ticks and Tides! Ticks: Deer Ticks, to be specific. They can carry Lyme disease. If your chosen geocaching sites involve any grassy, weedy or boggy areas, it's doubly important to wear cover-up clothes. And be sure to check yourself and the kids at the end of your hunt, to be sure none of the tiny little critters has "hitched a ride". 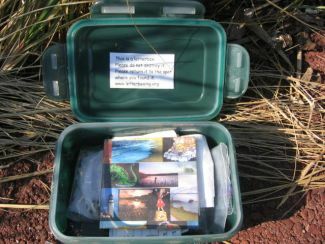 Tides: Some of the most fun geocache hunts on Cape Cod will bring you to the water's edge or even into the water. If you plan to walk out on a tidal flat - BE AWARE OF THE TIDE!!! The tide comes in very quickly, especially on Cape Cod Bay. If you're too far out when the tide begins to come in, you could be in exceedingly big trouble. Find out when the tide will turn, and pay attention! Get Others Involved in The Fun. If you're going geocaching alone, let someone else know where you're going and when you expect to return. Better still, spread the fun around. Invite a friend to go with you. 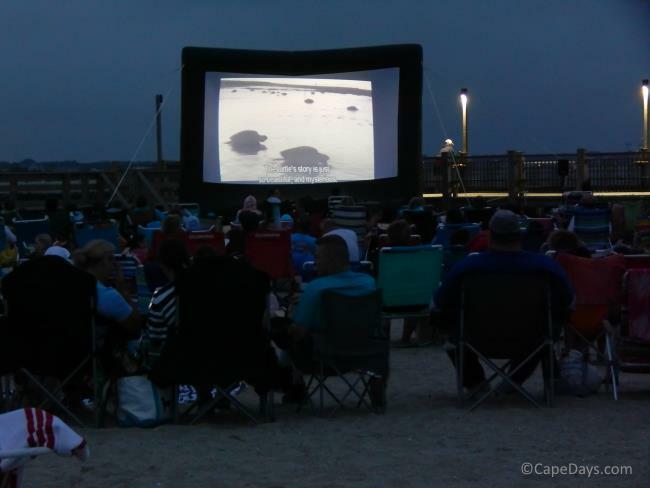 Explore and Enjoy Cape Cod's Geocaching Sites ... Safely!